Elizabeth A. Thomson is the Director of Studies, Defence Force School of Languages, and Research Fellow at the University of New South Wales. She coordinates The Genre Project, an ongoing research initiative aimed at mapping the genres of Japanese, particularly those found in the workplace and in Education. She teaches linguistics, Japanese language and English for Academic Purposes. In 2003 she was awarded the Vice-Chancellor’s Award for Outstanding Contribution to Teaching and Learning (Arts) and in 2001 her co-authored CD-ROM, Academic Writing was the winner of the Tertiary Technology Showcase Category in The Australian Awards for Excellence in Educational Publishing. William S. Armour is Senior Lecturer in Japanese Studies at the University of New South Wales, Sydney, Australia. He researches on a variety of topics, including cross-cultural adaptation, how learning an additional language impacts on identity, and manga and anime. 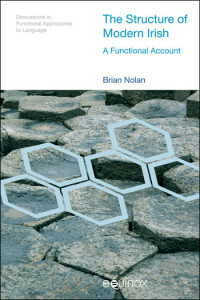 This book is the first dedicated collection of systemic functional descriptions of Japanese. It represents the most recent, international work describing the system and structure of Japanese and how applications of the descriptions have been used in the fields of computer science and education. The book is divided into two sections: descriptions and applications. The descriptions section is organised into the three metafunctions: textual, interpersonal and ideational. The applications section explores education and computing. The contributions on education present work on the application of systemic functional theory to teaching Japanese as a second or foreign language. The contributions on computing present the application of systemic functional theory to the development of a Japanese language based computer operating system. Systemic Functional Perspectives of Japanese is suitable for undergraduates, postgraduates, researchers of descriptive linguistics and applied linguistics and also for Japanese language teachers. 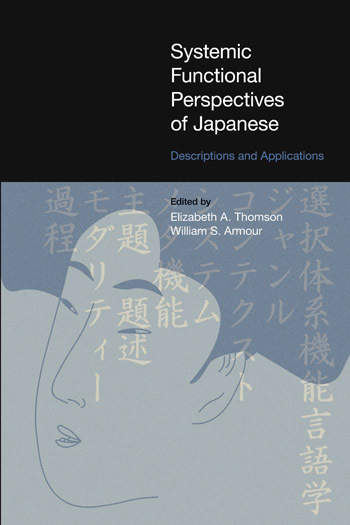 It includes a foreword by Professor Noboru Yamaguchi, Tohoku University, one of the first linguists to explore systemic functional perspectives of Japanese. This paper presents a case study of the logico-semantic relations in a set of selected Japanese expository texts. The logico-semantic relations are classified according to Halliday’s (1994) categorisation. The study shows that the logico-semantic relation of ‘enhancement’ plays a central role in the method of development of exposition. Furthermore, it sheds light on the social purpose of Japanese exposition – ‘to present an argument and ask the reader to share the same idea with the writer’. Although paragraphing in Japanese is often considered very flexible and up to the writer, the study shows that the boundaries between paragraphs often correlate with the boundaries between groups that are connected by logico-semantic relations. The aim of this paper is to present a description of the Mood types in Japanese based on a selected set of texts. The description includes both congruent and some incongruent realisations of the four main speech functions: offer, command, statement and question. This paper also explores the nature of the constituents of Mood1 in each Mood type that realise the speech functions. The system network and realisation statements are described. There are three texts used to illustrate examples of each of the Mood types and their constituent structure, two spoken and one written. This paper will describe one instance of the system of Theme in Japanese as it is realised in a set of selected written texts. The unit over which Theme/Rheme is mapped is the Theme unit which is defined grammatically as a co-referential unit in which the referent is the first constituent (Thomson, 2005:162), and semantically as one phase of continuous thematic progression (Thomson, 2005:165). The realisation of Theme is the constituent in first position of the Theme unit. The following description includes a treatment of single Themes, multiple Themes, implicit Themes and marked Themes. Chie Hayakawa is a Lecturer at Nagoya University of Arts, Japan. She teaches courses in general English. Her research interests lie in the functions of scientific and academic discourse, the language of education and the comparative analysis of Japanese and English texts. Among her publications is Hayakawa, C., Sano, M., Mizusawa, Y. and Ito, N. (2011) Identification of some problems with clause segmentation and a proposal of possible criteria in the view of the systemic functional theory. Japanese Journal of Systemic Functional Linguistics. vol. 6: 17–58. 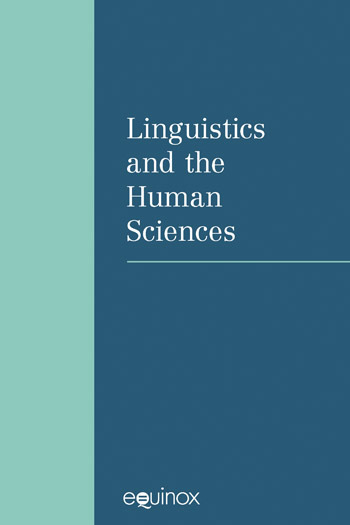 This chapter aims to describe the linguistic resources deployed in science textbooks that are used in Japanese high schools. Textbooks are important resources for students in that they provide both models of written scientific discourse and the linguistic features typical of the genre of scientific discourse. This chapter takes a top-down view which treats grammatical devices as the resources for realising rhetorical purposes or functions. While the discourse of science has a variety of functions, this chapter focuses on the actual lexicogrammatical choices made to construct the aspect of science, which is the classification of phenomena into taxonomical orders. The relevant lexicogrammatical choices are those which contribute to micro-scale formation such as transitivity etc., and macro-scale organisation such as the thematic development of texts. The analysis will show that Japanese academic texts both provide a wide range of micro-scale linguistic resources necessary for constructing specialised taxonomies as well as effectively incorporating these resources into the macro-scale structure of texts in order to achieve the purpose of the text. Kinuko Sato (Suto) is formerly of Tohoku University, Japan. She now lives in Germany, raising her child while she researches English and Japanese persuasive texts, including political manifestos, academic texts, newspaper editorials, magazine ads, and narratives. Among her publications is Suto, K. (2004) Technocratic Discourse: Deploying Lexicogrammatical Resources for Technical Knowledge as Political Strategies. JASFL Occasional Papers Vol. 3: 105–156. Christopher Barnard is a Professor in the Department of English, Teikyo University, Japan. His interests include Japanese linguistics and Japanese/ English lexicography. Among his publications is Barnard, C. (2003) Language, Ideology, and Japanese History Textbooks London: RoutledgeCurzon. In this paper, we attempt to develop the traditional notion of nominalisation by constructing a cline of nominalisation. This cline comprises a range of expressions with various degrees of ‘nouniness’, showing that nominalisation arises when meanings are reconstrued by more nounlike or ‘nounier’ expressions. This cline is particularly useful when we analyse degrees of specificity or negotiability of information presented in texts. We will demonstrate the way to use this cline by analysing the Japanese general election manifestos of 2003 of the then incumbent party (the Liberal Democratic Party; Jimin-too) and the largest opposition party (the Democratic Party of Japan; Minshu-too). We will demonstrate that in these political manifestos a shift towards ‘nounier’ elements and nominalisation are used to construe the opponents’ past/ongoing political failures in contrast with their own party’s future political successes as having low negotiability and given information, as a strategy to implicitly persuade readers of the superiority of the party over other rival parties. Reiko Furuya is a Senior Advisor for international students at Nagoya University, Japan. Her research interests include how cross-cultural adaption influences the acquisition of an additional language. Systemic-functional linguistic (SFL) theory has had little to say on learning languages other than the mother tongue. In this chapter the tape recorded conversations of five Japanese as an additional language learners are investigated. Issues regarding errors and the development of a Japanese meaning potential are raised. All five informants were audio taped while interacting in Japanese with a Japanese national as part of a larger project concerning their cross-cultural adaptation. They were asked to have three ‘conversations’ following a set of guidelines or prompts. Using these data, it may be possible to begin a discussion on how SFL theory can contribute to the socio-cultural theory of second language acquisition. Yuko Ramzan is an Associate Professor at Ritsumeikan University, Japan. Her research interests include Japanese education, foreign language education, pedagogy and educational sociology. Among her publications is Ramzan, Y. (2009) The construction of interculturality and foreign language education: Japanese language learning in Australian schools. Germany: Verlag. Over the last 15 to 20 years, the teaching of Japanese as a Foreign Language (JFL) in the Australian education context has been based on a communicative approach. This approach establishes an ‘information gap’ between speaker and listener, thereby setting up a ‘real’ need to communicate, introducing and practicing language patterns in a social context. However, while this approach has been popular with teachers, particularly at a beginners level in the teaching of speaking and listening, the same cannot be said in relation to the teaching of writing to more advanced students. Constructing ‘information gaps’ in social situations without reference to the bi-directional effect 1 of the context on the text is inadequate. Another approach which foregrounds the social purpose, the genre and the context of a text that is based on linguistic analysis of the characteristic lexico-grammatical features is needed. One such approach that has been successful in the ESL classroom is the Genre Approach based on Systemic Functional Linguistics as developed by the Sydney School (Johns, 2003). This paper presents an argument for the adoption of the Genre Approach in the JFL classroom. The approach in demonstrated in two parts. Firstly, a model text of the type that students are expected to write is analysed in terms of its context, social purpose and lexico-grammatical features. This, in turn, is incorporated into a proposed lesson plan based around the framework of the Genre Approach, which embeds writing in a lesson module extending over 7 weeks, for two hours per week. This kind of description provides JFL teachers with an example of a writing pedagogy that locates learning in the cultural context of the target language, highlighting not just the lexicogrammatical features of the text but also the social purpose and registerial characteristics which serve to identify the text as one instance of the genre to which it belongs. Noriko Ito is an Associate Professor at Doshisha University, Japan. She researches systemic functional linguistics. An important publication is Ito, N., Sugimoto, T., Iwashita, S., Kobayashi, I. and Sugeno M. (2007) An analysis of rhetorical structure of Japanese instructional texts and its application to dialogue based question answering systems. Japanese Journal of Systemic Functional Linguistics vol 4: 83–104. Toru Sugimoto is a Professor at Shibaura Institute of Technology, Japan. He researches in the area of natural language processing. A recent important publication is Sugimoto, T., Ito N. and Iwashita, S. (2007) A proposal of a languagebased context sensitive programming system. Journal of Advanced Computational Intelligence and Intelligent Informatics vol. 11 no. 8: 1015–1022. This chapter describes the development of a computational model for a language system, in this case, Japanese which includes context as well as an algorithm for text understanding. This algorithm is based on the WAG systemic parser (O’Donnell, 1994), but is significantly extended to incorporate the results of an existing (non-systemic)parser and machine readable dictionary. This paper is concerned with computational methods for constructing a linguistic database, based on both the Systemic Functional model of language and an algorithm for Japanese text understanding based on the database. By way of explaining the lexicogrammatical and semantic dimensions, the results of analyses of sample texts and relevant system networks in the Wording Base and the Meaning Base are shown. Yusuke Takahashi worked for Justsystems Corporation, a software development company in Japan. Unfortunately, he passed away unexpectedly in 2009. His interests included Japanese and English lexicogrammar and semantics for natural language processing, especially for sentiment analysis. A recent collaborative publication is Takahashi, Y., Kobayashi, I., Iwazume, M., Ito, N. and Sugeno, M. (2004) The Contents and Structure of the Context Base, and Its Application. Proceedings of 4th International Conference (EsTAL 2004): 103–114. This paper describes the construction of a prototype computer system which operates using everyday or commonsense language. It is part of a larger project, the Everyday Language Computing (ELC) project (Kobayashi and Sugeno, 1997; Iwazume et al., 2003; Ito and Sugimoto, 2006) which was conducted at the Institute of Physical and Chemical Research (RIKEN ; RIkagaku KENkyujo) in Japan. References to illustrations, figures and notes are entered as, for example, 258ill., 333f, 351n.